[The policeman], Fatih Zengin is accused of using excessive force against Ceyda Sungur, who was standing a short distance away and not behaving aggressively…The prosecutors want Mr Zengin’s dismissal and a prison sentence on the grounds that no warning was issued prior to the incident. 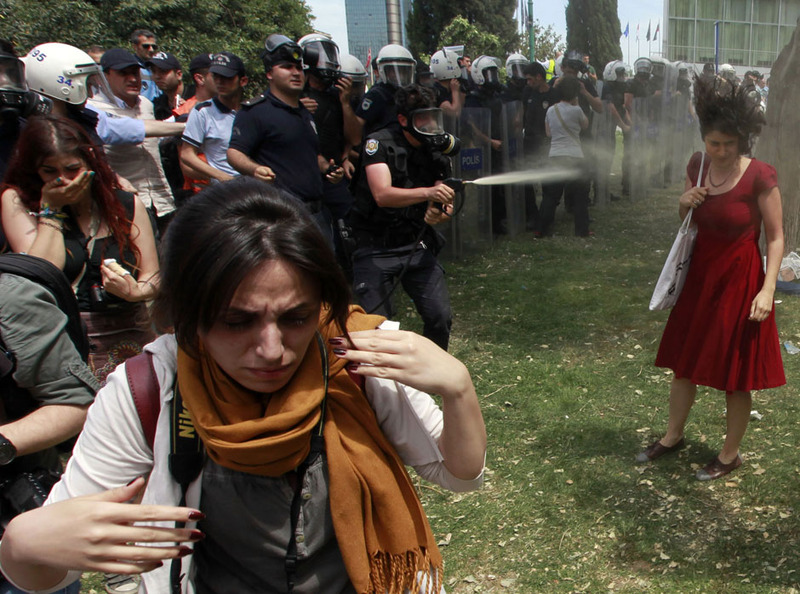 This entry was posted in Excessive Force, Freedom of Assembly, Freedom of Expression, Turkey and tagged Ceyda Sungur, Diren Gezi, Fatih Zengin, Freedom of Assembly, Freedom of Expression, Gezi Park, Lady in Red. Bookmark the permalink.